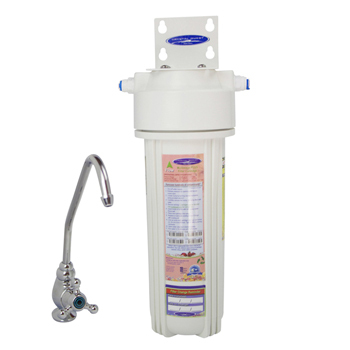 Dimensions: 16" x 5" x 5"
The Undersink Arsenic Multi Water Filter, Single by CRYSTAL QUEST is a 1-cartridge, 6-stage filtration setup that clears your drinking water with arsenic and hundreds of other impurities. It is infused with a special media - proprietary hybrid iron oxide resin specifically designed for selective removal of arsenic from water, certified to NSF/ANSI 61 Standard. The added combination of Coconut Shell Carbon or Granulated Activated Carbon(GAC) and Eagle Redox Alloy media increases the systems' effectivity in removing hundreds of other contaminants from your drinking water. 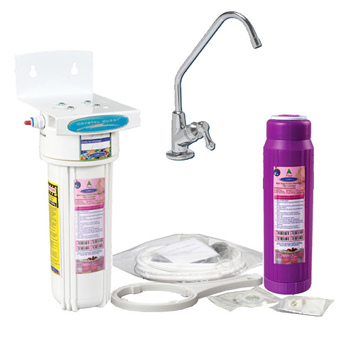 Undersink water filter systems do not add clutter to your kitchen as it works behind visibility. 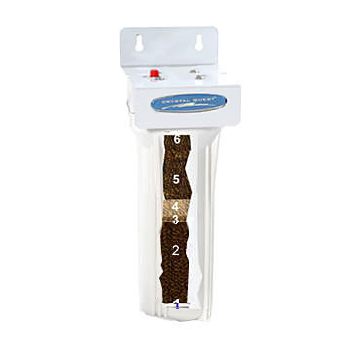 This compact, single cartridge system is your best option for arsenic removal and other contaminants from your tap water. Arsenic is a semi-metal element that has no taste, odor, or color, and is not easily dissolved. It occurs naturally in the environment, as a by-product of mining, or agricultural areas when materials containing arsenic are used as industrial poisons. It enters drinking water supplies from natural deposits in the earth or from agricultural and industrial practices. Arsenic is considered highly toxic and a carcinogen. According to the EPA, people who drink water containing arsenic well in excess of the MCL for many years could experience skin damage or problems with their circulatory system, and may have an increased risk of getting cancer. Combined with advanced Coconut Shell Carbon(GAC) and KDF(Eagle Redox Alloy) media technology. Compact system that fits neatly under your kitchen sink. 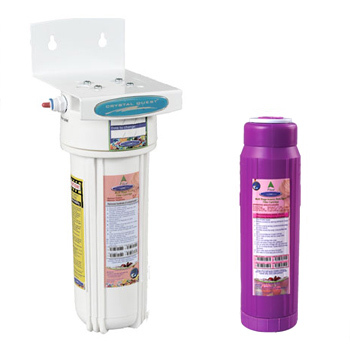 Filter media combination removes hundreds of other contaminants. Easy install, comes with an attractive faucet and hardwares for setup. Convenient, quick and easy to use. - When considering installation, if current under sink plumbing is hard copper tubing the saddle valve would be used; for flex tubing the T-valve would be required. While ordering, Please note the type of tubing used to ensure compatibility. 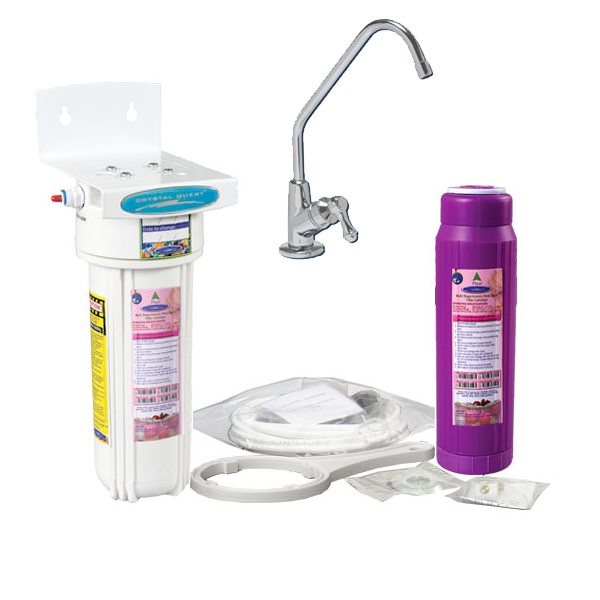 - Includes filter system, arsenic multi-stage reduction filter cartridge, faucet, filter wrench, installation hardware. Contains Arsenic-selective resin, designed specifically for reducing arsenic.